Goodyear Eagle Front Runner Tire 28" x 4.5" - 15"
Moroso 17028 - DS-2 Front Drag Tire 28.0" x 4.5" - 15"
The Choice of the Pros! 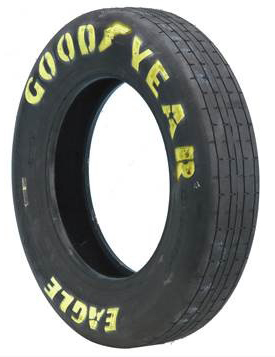 Goodyear Front Runner Drag Racing Tires are ultra light and designed for high speed on the quarter mile. D1966 is rated 5.0 out of 5 by 1. Rated 5 out of 5 by Tommy47 from Example: Great features! I purchased these tires to replace the Goodyear D1966 tires I had on car. they gave me good service in the past so it was an easy choice.